I have always vowed that I wouldn’t be that mother that served dinner like a diner. For the most part, I have upheld that vow. My kids have always been pretty good about trying different things and we are lucky they eat what I serve. That is probably attributed to the fact that they have learned that if they don’t like it, they get the ‘too bad’ face, and the ‘better luck next time!’ shrug (insert emoticon here). Now I am not completely insensitive to their ever-changing preferences or aversions, but I don’t cater to just their favorites either. If I did, I’d be eating orzo and hot dogs everyday. Right now, my daughter seems to be anti-red sauce so she is getting zero sympathy from me in that department. 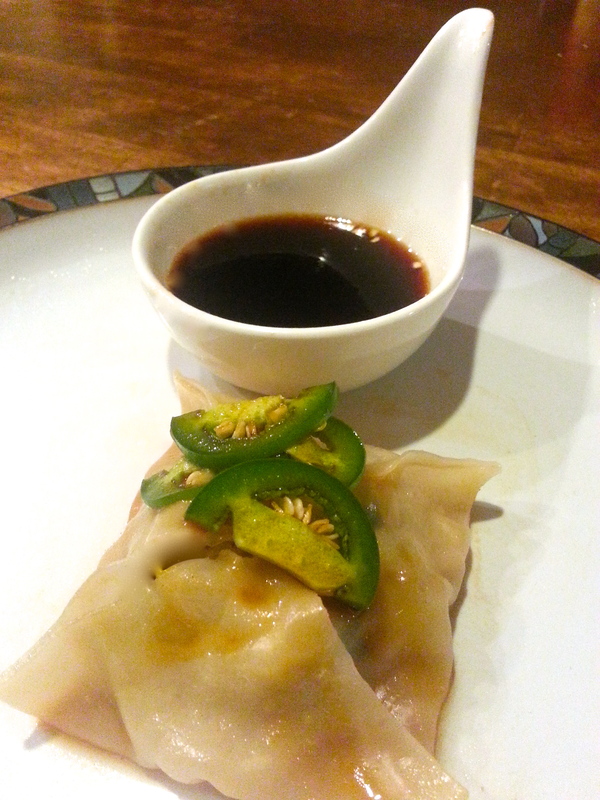 One dish we all can agree on though, is pot stickers. Maybe because it is similar to ravioli or tortellini which the kiddies love. My problem is that I need to be sure I don’t eat 30 of the tiny pockets of yumminess. If you check out the original recipe, it calls for only 8 ounces of pork, whereas I used twice that. I have issue with using parts of packages, or 1/2 of a can of something, so I tend to modify recipes to try to use things in their entirety. This does produce mass amounts of food sometimes, but in most cases, it equals another dish the next day, or a frozen mixture for round two down the road. I would rather refrigerate or freeze a meal, or the mixture for a meal, than have a leftover can of corn or frozen blob of pork. 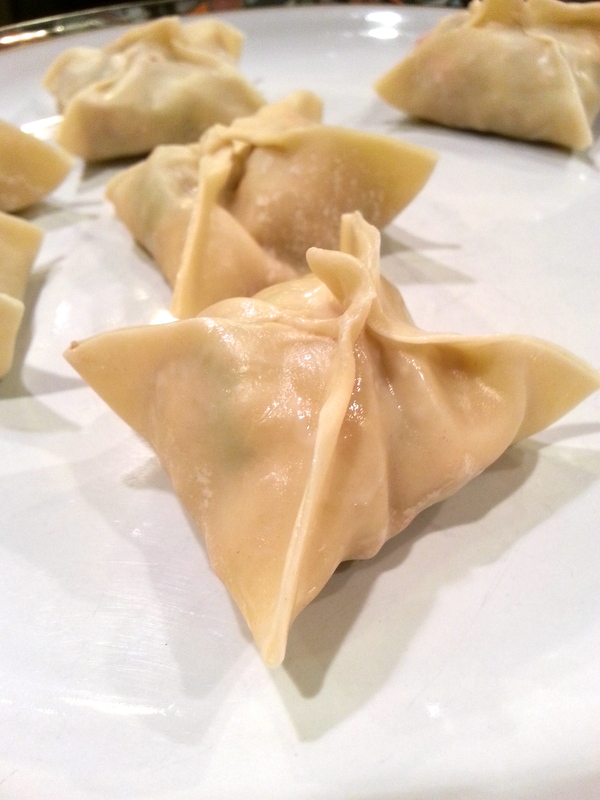 I was only feeding three of us this time, so I only made 18 pot stickers and kept the pork mixture and used it in a cold noodle salad for four of us the following day for lunch. 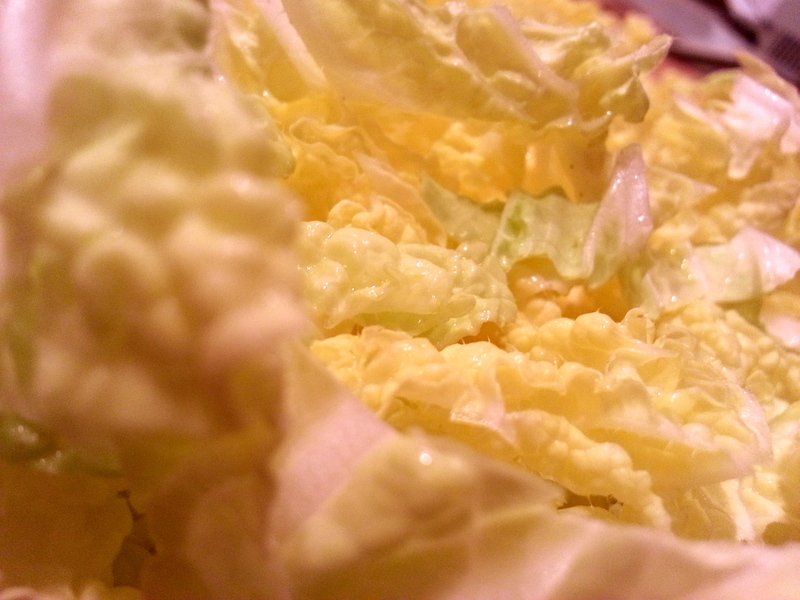 It also would work on a salad with an orange vinaigrette. Leftovers are heaven. Otherwise this would make 36-40 pot stickers. Heat a large nonstick skillet over medium-high heat. Coat pan with cooking spray. Add pork and cook 6 minutes or until almost done, stirring to break up into tiny pieces. 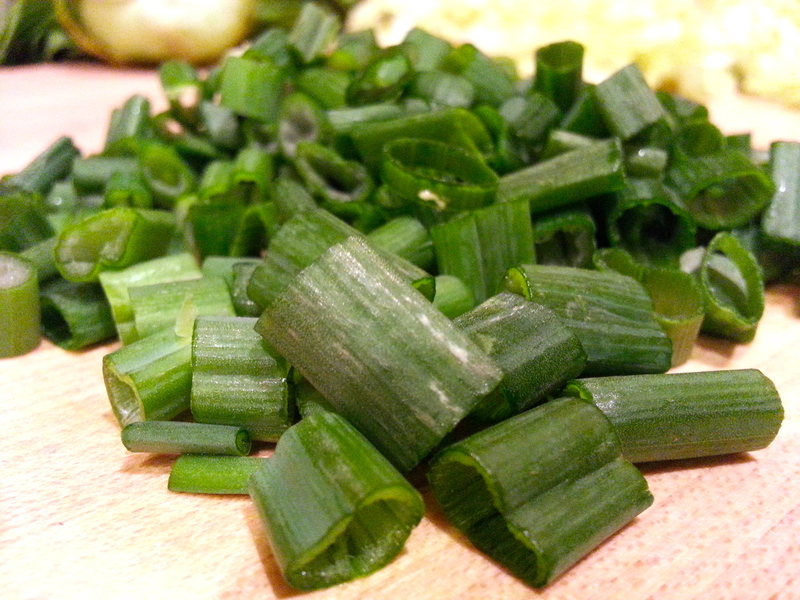 Add green onions, jalapeño and ginger and stir to combine. 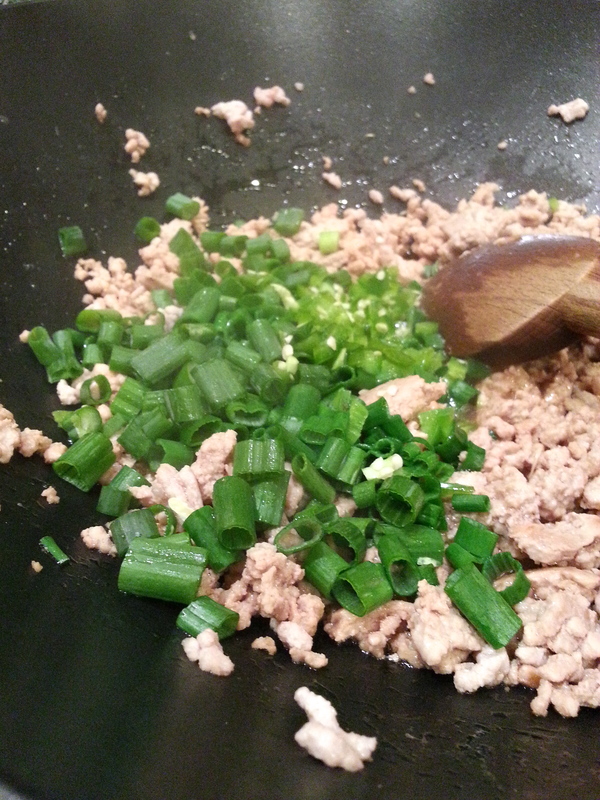 Add soy sauce and sesame oil cooking for another minute. 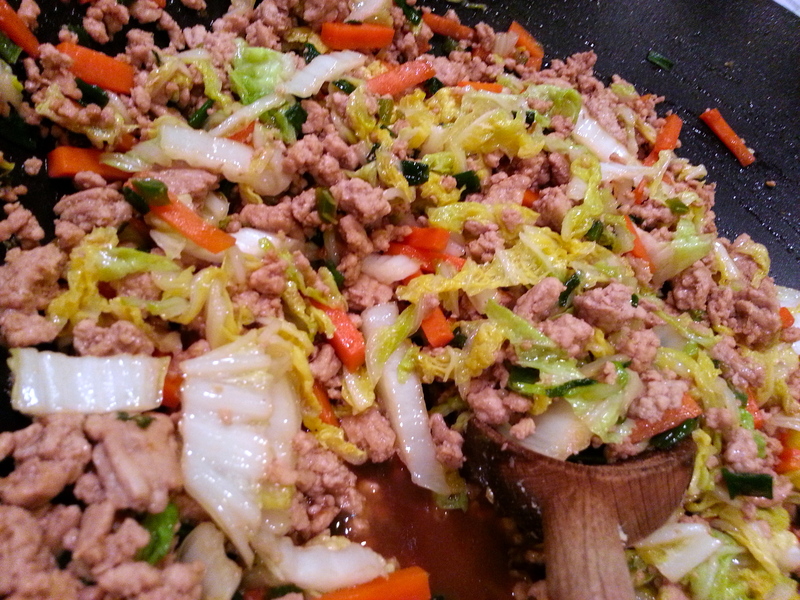 Stir in carrots and cook for a minute, then add the cabbage and cook until cabbage just wilts. Remove from heat and cool slightly. 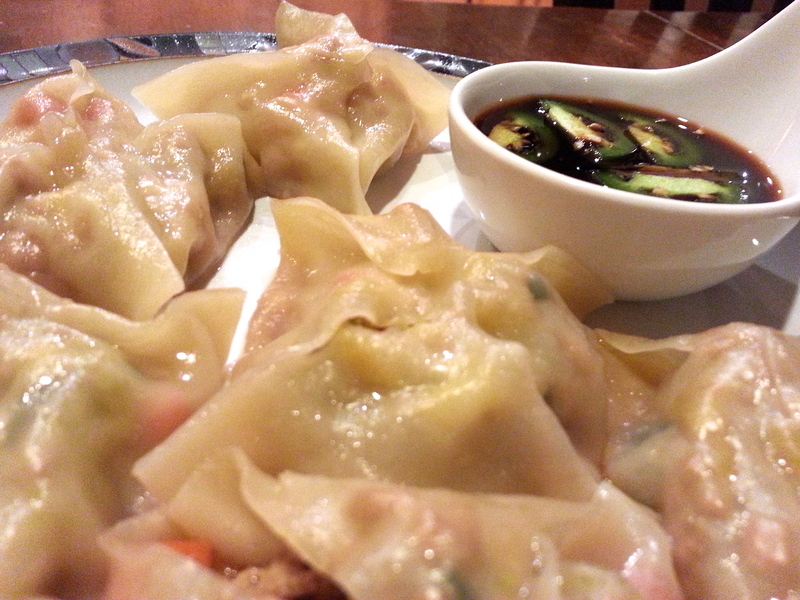 Place a small bowl of water near where you will be assembling the pot stickers. 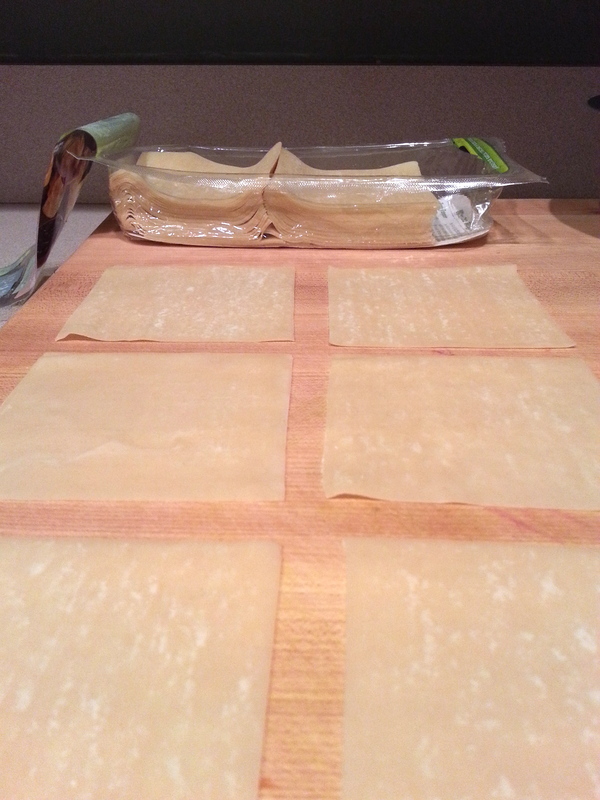 Lay out six wonton wrappers, keeping the remaining under a damp paper towel (so they don’t dry out). 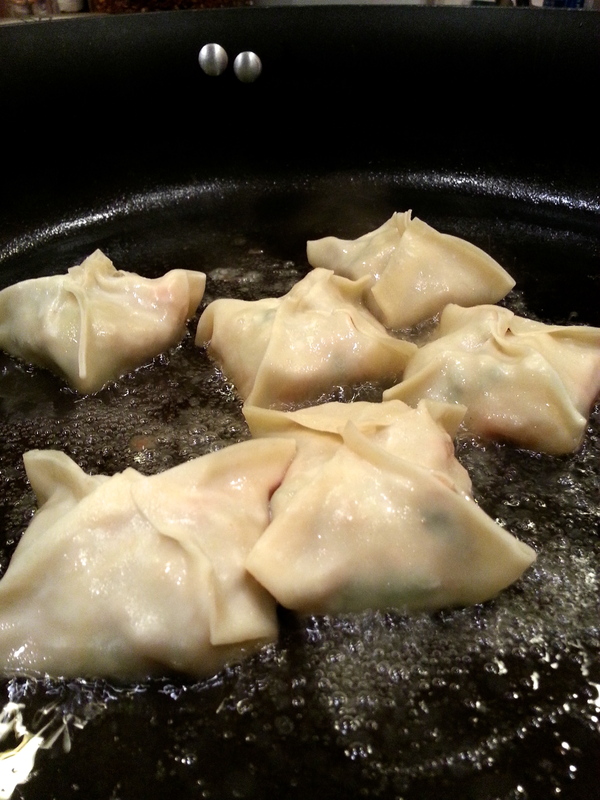 Spoon a teaspoon of the pork mixture into the center of the wonton. Moisten the edges around the mixture with water, using your finger or a brush. Take opposite corners of the wrapper and fold and seal and then fold up the remaining corners and pinch to seal at the top. If any edges aren’t sealed completely, dab with water and pinch closed. 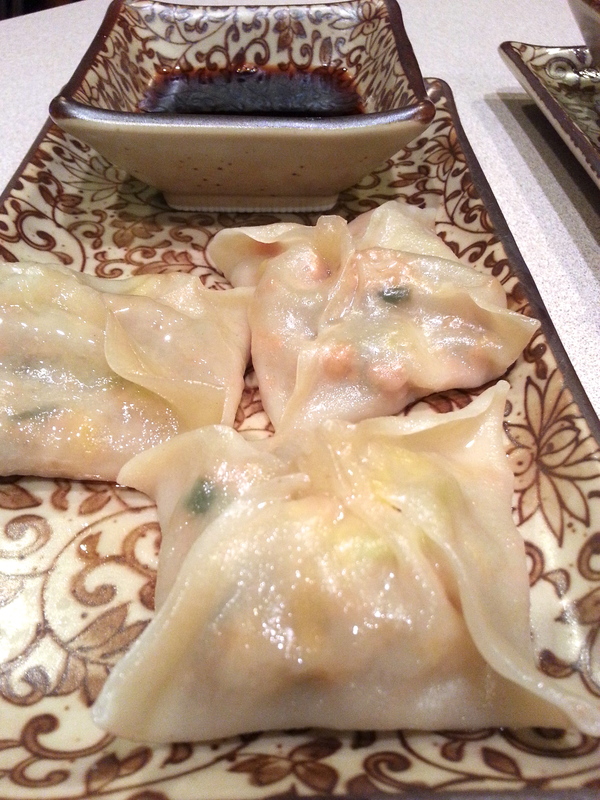 note: serving portion is 3 pot stickers at about 120 calories total. (so obviously eating 30 is not recommended!) Depending on how many pot stickers you want and can fit into your pan, realize that you need to cover your batches to keep warm and moist, as it is 7+ minutes until the next batch is ready. YUM! 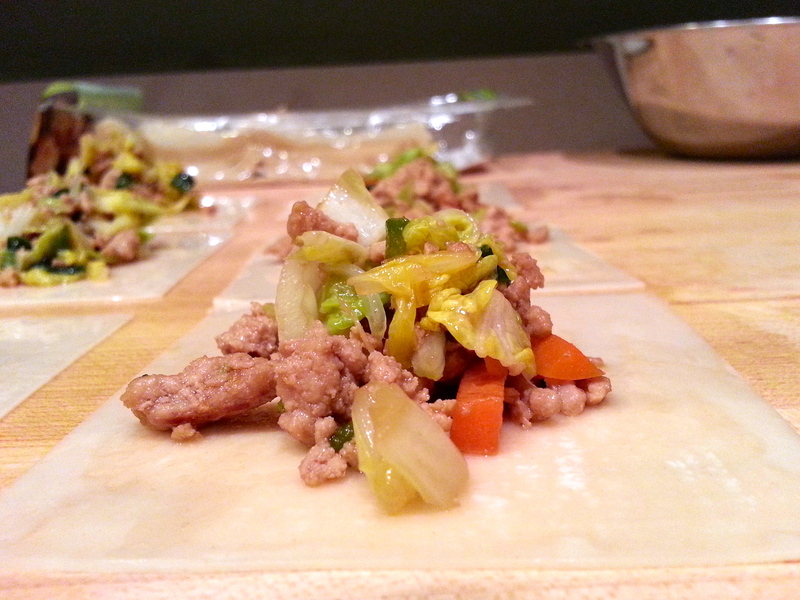 This entry was posted in appetizers, main dish, pork and tagged cabbage, dumpling, pork, pot sticker. Bookmark the permalink.